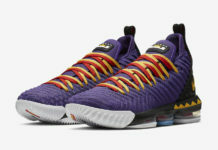 Looking closer this Nike LeBron 16 comes highlighted with Black across the upper while Blue is seen on the underlays. 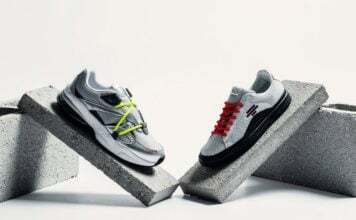 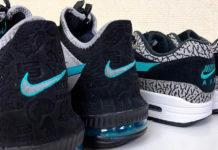 Following is the use of Black across the midsole while Blue lands on the Zoom Air cushioning. 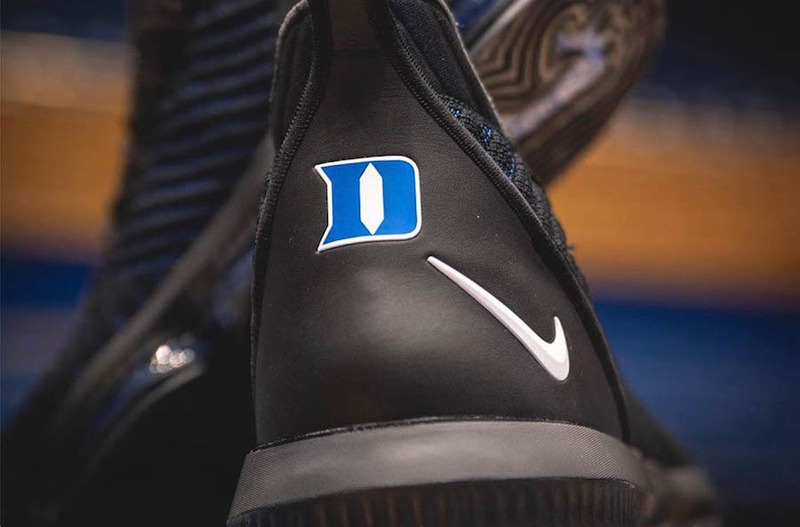 Other highlights includes White on the Nike Swoosh and the Duke Blue Devils ‘D’ logo on the heel. 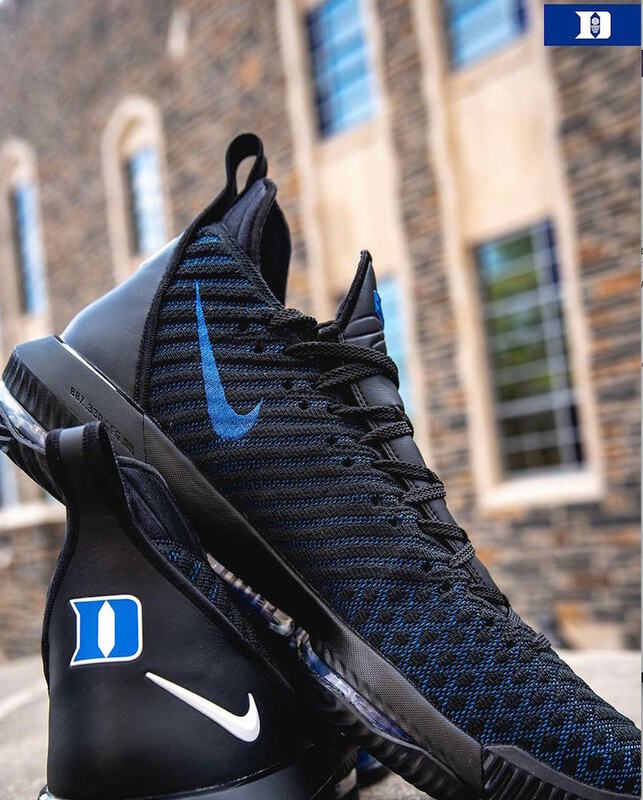 Continue to scroll below to check out more photos of the Nike LeBron 16 Duke Blue Devils PE which will provide you with a closer look. 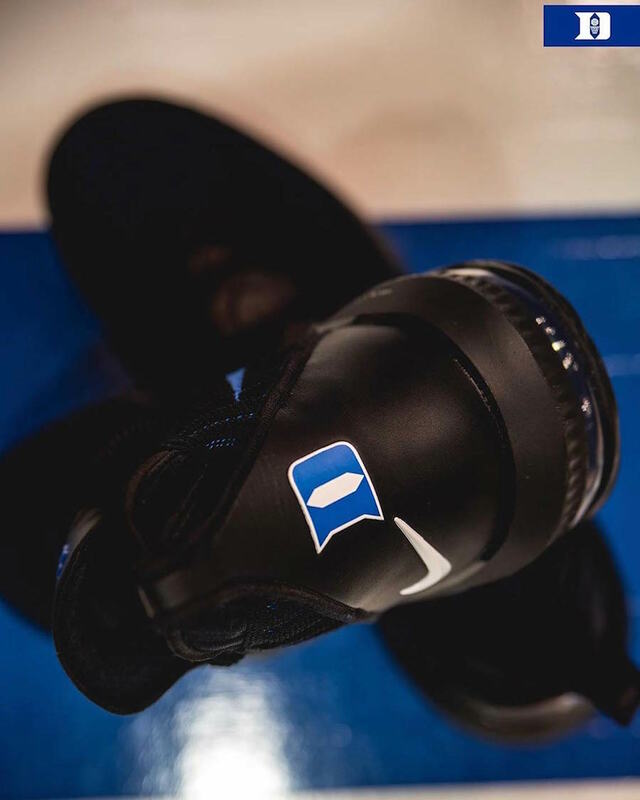 While a release probably won’t happen, you can expect players to wear them on the court during the season. 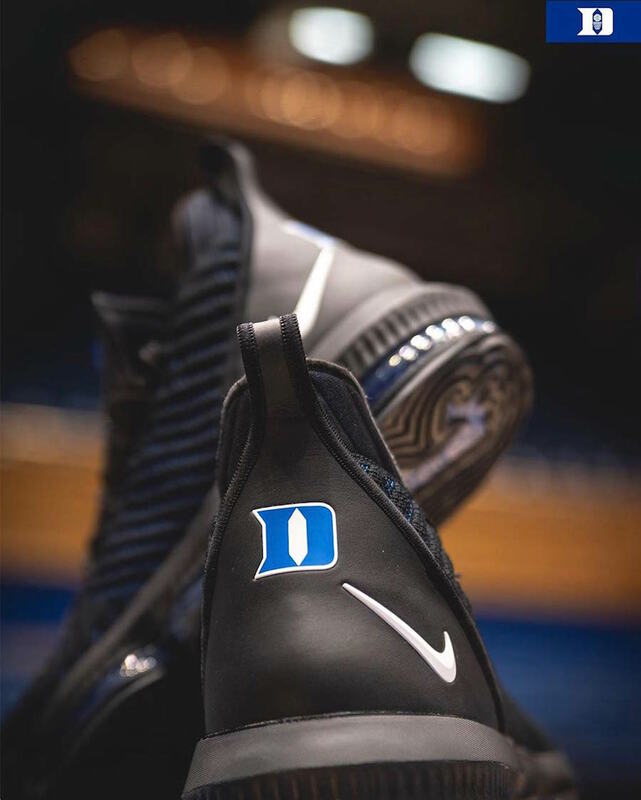 If Nike does decide to release them, we will make sure to update.